I love it when the first guest on a talk show, always a FAR bigger name than the second guest, stays for the second guest and the musical act. A classy move. What usually happens, though, is that the star’s handlers get them there, shove them onto the set, they respond to a set of pre-approved “questions” (“I understand you recently had an interesting experience on an airplane…”), pimp their latest project, and get out of town. 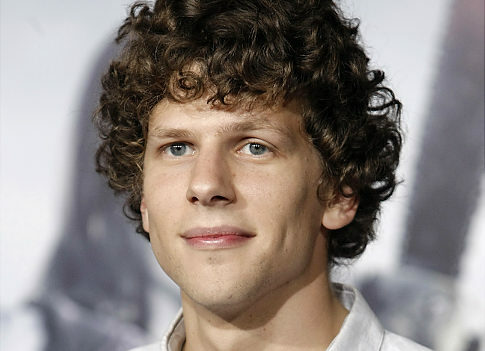 Jesse Eisenberg (The Squid and the Whale, Zombieland, and most recently, The Social Network) was on Conan on Thursday, and was a class act. He was funny, self-effacing, and most importantly, stayed on the couch through the Venus Williams interview and the Decemberists’ song. Great move, Jesse, now I like you even more. But the thing that I liked even more, the reason I’m blogging about this episode of Conan, was something that Eisenberg said in his interview. When Conan asked him if his life had changed in any way since the release of The Social Network, he said, somewhat cryptically, “I have a lot more cats.” So it comes out that Eisenberg is on a list of cat-adopters, so his apartment is basically a cat boarding house. He said that it’s full of cat food, litter, and nothing else. Why does he have all the cats? Guilt! He said that he feels guilty for having such success in movies, and so cares for abandoned cats. The more success he had, the more cats he adopted. More popular movie? More cats. The result? Some potentially (and temporarily) expiated guilt and a house full of cats! Isn’t it great that we have a God who accepted expiation once and for all? Who doesn’t require that we keep punishing ourselves (by filling our homes with animals who think they’re smarter than us)?